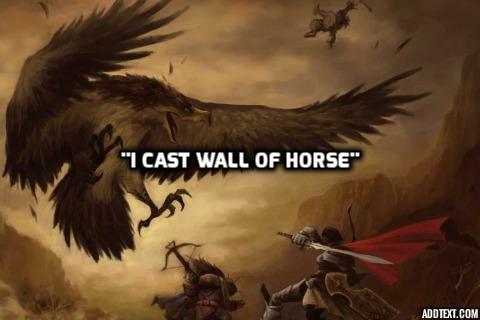 Seduce the dragon, cast for wall of horse, and lose your mind laughing at these contextless Dungeons and Dragons quotes. 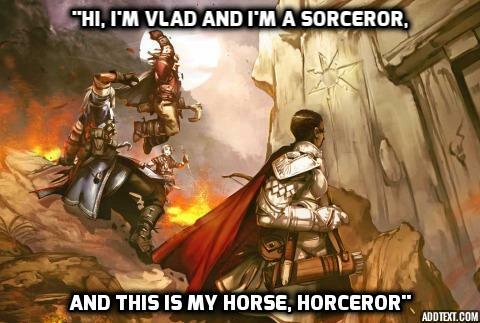 Let me tell you a secret about tabletop roleplaying: Creating epic characters and having adventures with them is a tiny part of the fun. 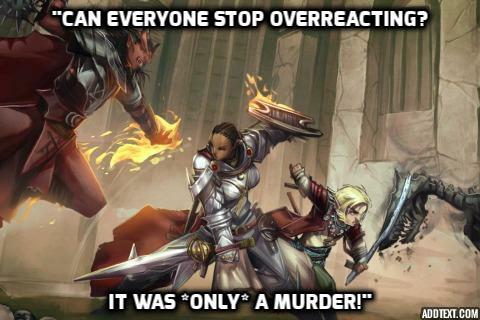 The best part is to sit around a table with a group of friends and completely lose your minds laughing about the insane things coming out of everyone's mouths. 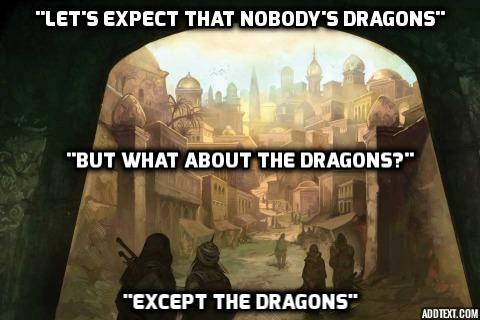 That's why websites like Out of Context D&D Quotes are so great - anyone who's played a tabletop RPG knows exactly how they come about. 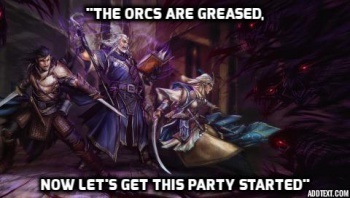 Of course, the only thing to make those quotes better is to visualize them, preferably in a fantasy setting so you can imagine them in character. 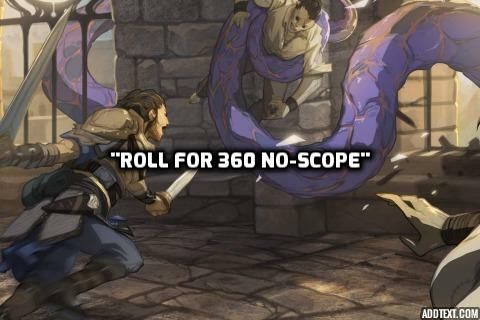 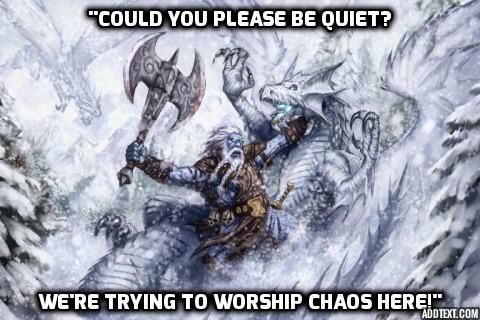 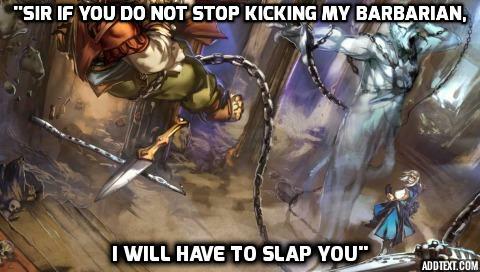 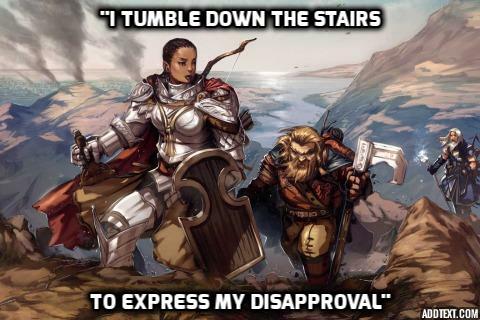 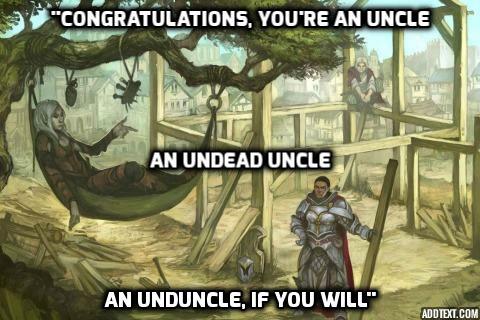 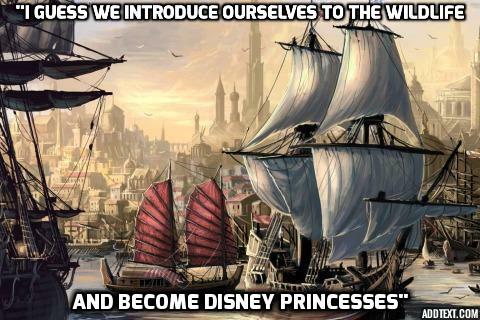 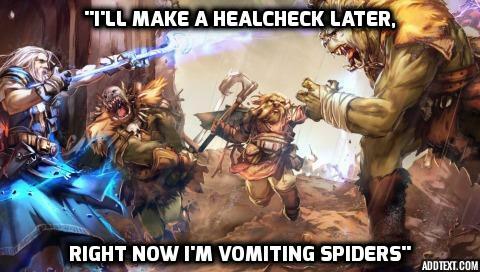 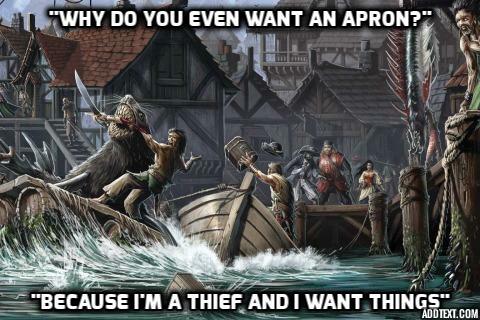 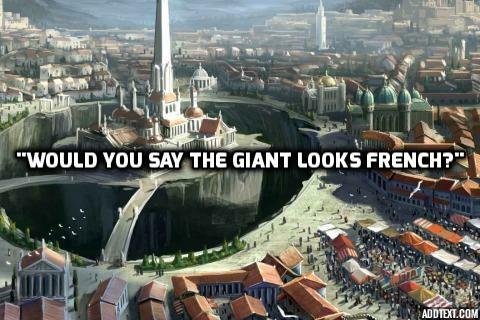 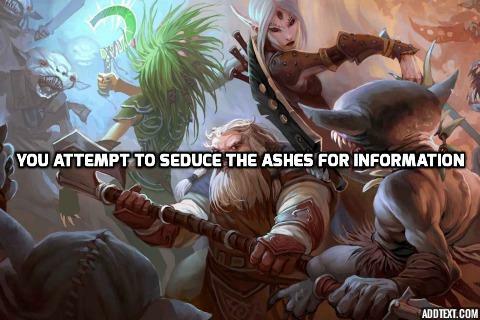 Thankfully, one enterprising Imgur user is helping out by taking the out-of-context quotes and adding handy D&D themed images. 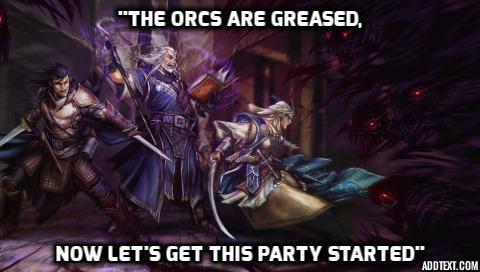 And I have to admit, as a tabletop gamer and GM, I find myself nodding my head at how true-to-life these all are. 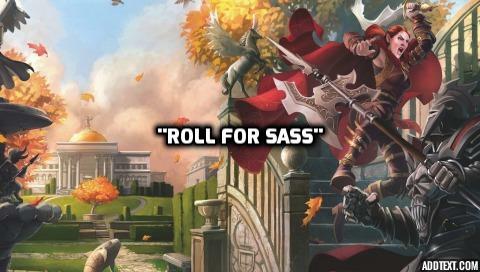 Rolling for sass? 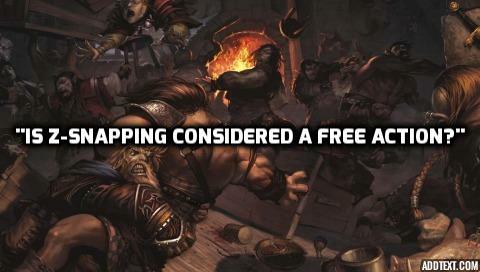 Stealing aprons? 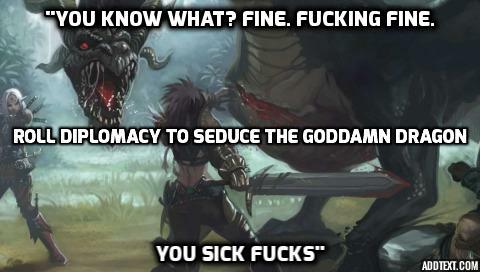 Attempting to seduce a dragon? 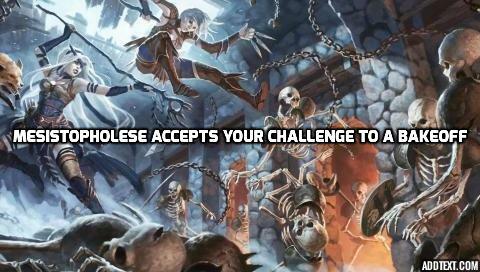 These are things that seem impossible unless you understand gaming table logic. 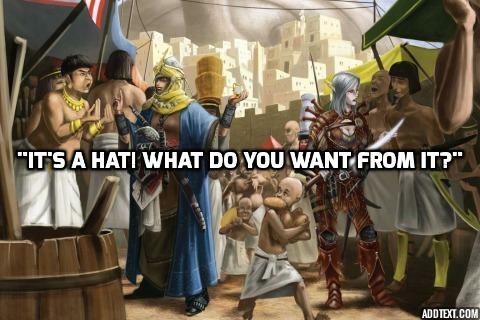 I recommend you take some time to read through the assembled list for a laugh, hopefully before making suggestions of your own in the comments.